A robust winter salad can break the monotony of root vegetables and mash. 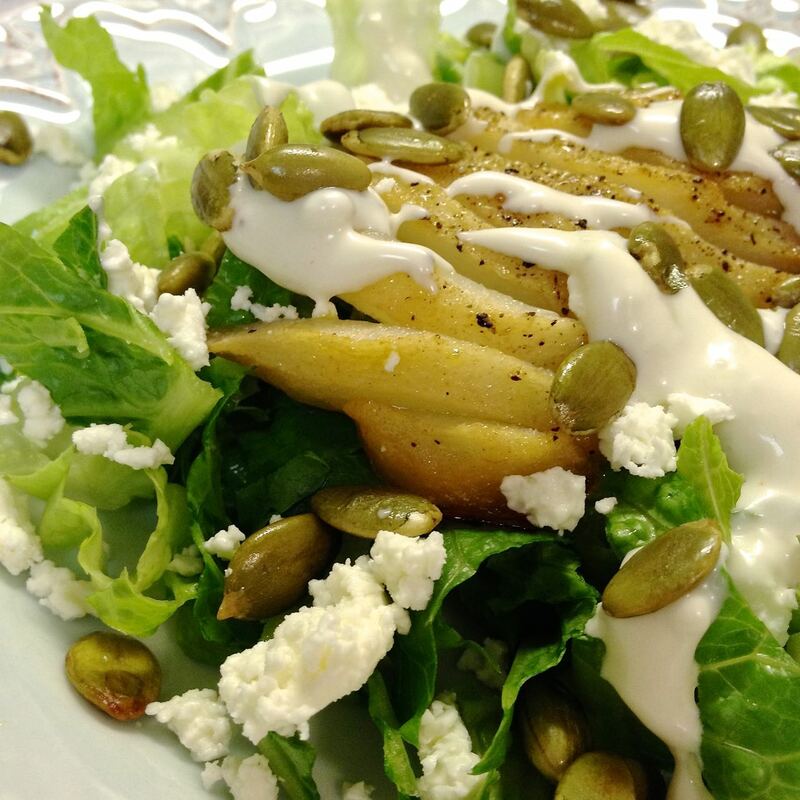 This roasted pear over crisp greens salad with a sprinkling of seeds makes a lovely starter. 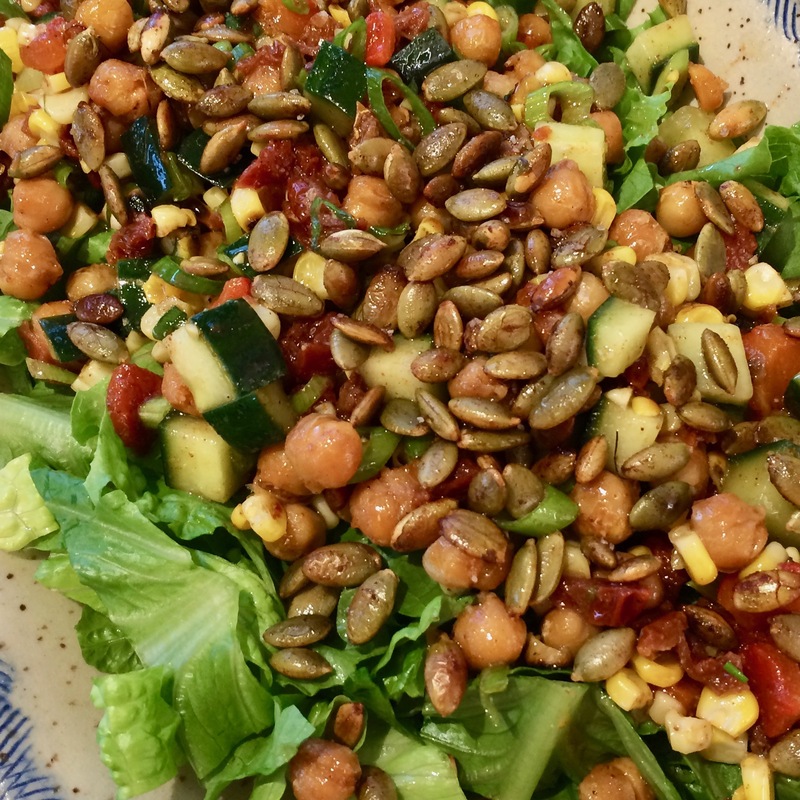 We recently served this salad to a group of sixty, and it was so simple to do for a large group, but its taste and presentation make it special.